Time line is an illusion! There is no flow of time. Throughout our lives we are facing with such strange things that defy our power of discernment: the Bermuda Triangle, the Loch Ness monster, taxi drivers... But, since we're talking about weird things, I believe that nothing is more incomprehensible that time. Intuitively, everyone knows what time is. Or, at least, we believe we know it. But if you spend some time thinking about this issue, you'll find that is extremely difficult to understand the true nature of time. Well, after losing a little of my time thinking about this question, I came to the conviction that the "flow of time" is a illusion. Imagine five cities: A, B, C, D, and obviously, E. Now imagine a car coming out of the city A, passing through the city B, then by C and so on. The notion of movement is very clear in this example, right? Even a child could see that the car is moving in relation to cities. There is a stream here. Now imagine five subsequent times: A, B, C, D, and guess what, E. Imagine there are five immediate moment. For example, the instant B is one thousandth of a second after the instant A. The moment C is one thousandth of a second after the instant B, and so on. Imagine also that you are at the moment B. Well, if you are at the time B, this means that the moment A is a thing of the past, and that the other moments are events of the future. So, this range began at moment A, it passed by the moment B (where it is now) and it will "go" to instant C. At first we have the impression that something is moving, that the present moment is moving between points A, B, C, D etc. But lets think better. Our consciousness exists only in the present moment. Therefore, our consciousness exists only in the moment B of this example. But to an observer who lives in the instant "A", the present moment would be "A", not "B". Let me turn to the example of the car. Imagine that the car is in town "B". If the car is in town "B", an observer in the city "A" say that the car is in town "B"; an observer who is in City "B" will say that the car is in city "B"; an observer who is in town "C" say, too, that the car is in town "B", and so on. But in the flow of time this is totally weird. If we are at time "B", an observer at the instant "B" say that the present time is the time "B". An observer in The moment "A" would say that the present moment is the time "A" (and not "B"), because for him, "B" is a future event. An observer at the instant "C" say that the present time is the time "C", and so on. 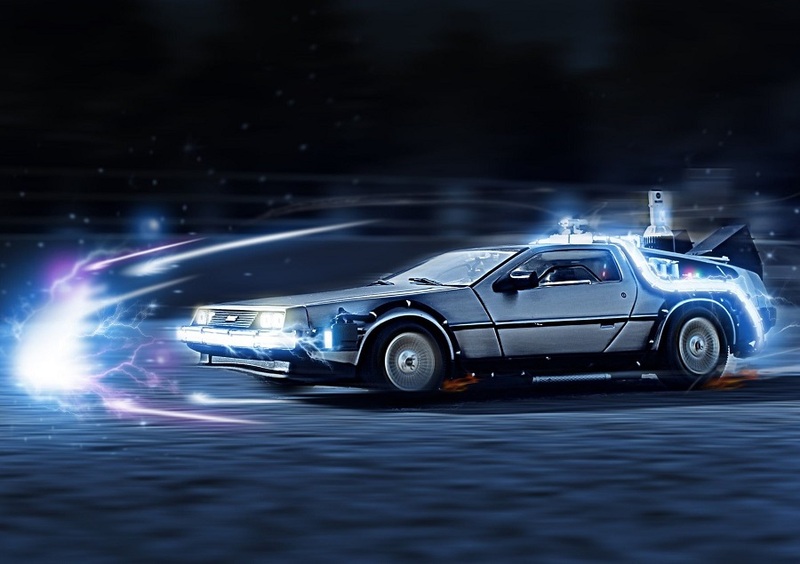 Where is now the concept of flow of time? Simply does not exist. For the idea of "flow of time" make some sense, it should be relative to some external reference point. This external point, however, need to have another reference point outside yet, and so successively in endless repetitions. So this business of the flow of time, as I said, exists only in our imagination. It makes much more sense to think about parallel universes, or a multiverse in which there are many "nows". When we think of a multiverse, and not in an infinite line of time, those cases of people who dream of something that really happens days later becomes not totally absurd. But that is another discussion, and now I have no time for it. Everton Spolaor - From south of Brazil. Writer (author of "Inteligência: caminhos para a plenitude"), mechanical engineer and lost in time. Se tivesse que escolher um único elemento que viesse a ser distribuído entre todos os homens, eu não escolheria dinheiro, nem amores e nem mesmo saúde. Desejaria que o homem tivesse uma maior inteligência. É certo que o mundo seria muito mais justo e que a vida se desenrolaria com uma qualidade superior se nos relacionássemos com pessoas mais cultas, mais sábias. Piadas de gaúcho! - Se você é gaúcho e mora em outro Estado, não tem escapatória: mais cedo ou mais tarde algum engraçadinho irá fazer uma piada de gaúcho. Seção Q.I. 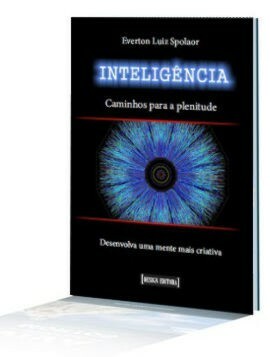 - Discussões sobre a inteligência. Não trate como prioridade quem te trata como opção - Valorize-se! Notícias sangrentas - Desde quando notícia virou sinônimo de tragédia? Páginas sociais - Onde a inutilidade se une ao ridículo. Enquanto você está aí, tranquilo em sua casa, estranhos objetos estão passando bem sobre sua cabeça. Confira! Robôs são máquinas recentes, não é? Isso é o que você pensa! (em breve no ar). Mais um complexo militar subterrâneo. Em breve aqui! Para quem gostou do assunto, aqui vai mais um pouco. Você lava sua roupa para deixar ela mais limpa ou mais branca?